My name is Millissa and I am studying at PSU for my Bachelors of Environmental Science Management. During this term, I will be working closely with the Rebuilding Center in Portland Oregon. They recycle building materials to keep them out of the waste stream. They work with the community to collect materials either by drop off or scheduled pick up seven days a week. They will also deconstruct houses and buildings to conserve as many of the resources. I am excited to have this experiences to better understand recycling and develop professional relationship that will aid me in the future. I hope to gain a better understand of crate to grave theory and just how many materials can be recycled! I have always had a passion for nature and how to live in with nature - not on it. I have written many paper on landfills and social's need to a better recycling plan. I must attempt China refusing to take our recycling is tragic; it maybe that push that the USA needs to develop better use practice on more of our main stream recyclable goods. Additionally, I hope that more non profit recycling store are about to open in the future as new produces become overly priced. I feel that this would always most to accept that everything you have does not have to be brand new. I am excited to see that would future handles crave to grave thinking; it will make or break our ability to continue to have everything available at our finger tips. The start to my spark was on my first trip to Montana in 1996, my heart was crushed as the beautiful forest turned to ruin for what felt like miles to my 10-year-old perception. I began to cry. When we finally stopped at a rest stop, I asked my foster mother what happened to the forest and how could anyone do such a horrible thing to trees? Her response was that “People like having homes, furniture and other conveniences. The timber must be harvested to provide for the population’s demand.” At that point I asked, “Is there not a better way to harvest, so the forest is not destroyed?” I did not get more than a “Yes!” in reply. The Rebuilding Center opened in 1997 as a non profit organization and is a beacon in the recycling industry has diverting over 2 million pounds of material from the waste stream. 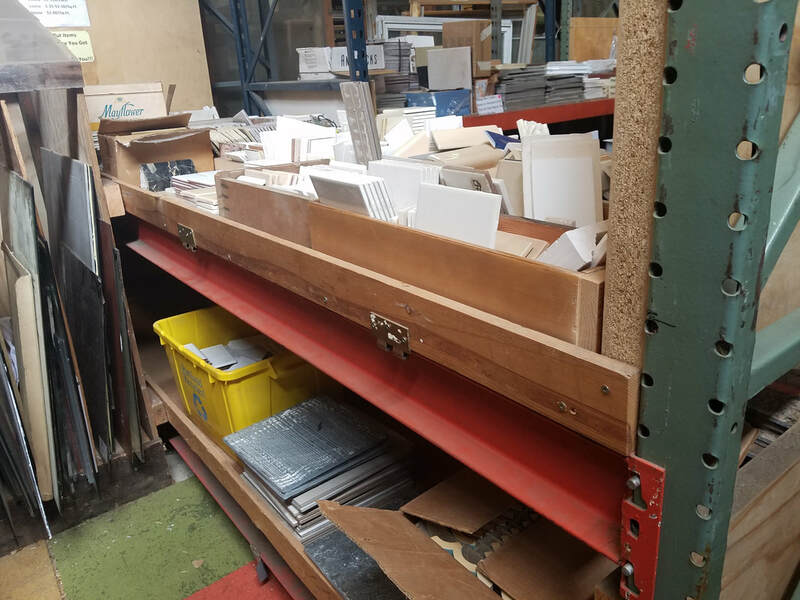 They put the cradle-to-grave theory to the test by salvaging and re-purposing materials that would otherwise go to landfills. They also buy up the cast-off wood that can’t be sold at Home Depot, Lowes, ACE, and other lumber yards. They have a large warehouse full of reclaimed wood for resale and all of their materials are resold at 40 to 90 % below market value. Some of the unseen benefits include reduced CO2 emissions, water usage, and thousands of tons of material out of landfills. They have much more than wood though! You can find practically everything you need to build a house at the Rebuilding Center—doors, windows, plumbing materials, etc. The Rebuilding Center interior is constructed from re-purposed materials except the duct-work due to construction code requirements. They have a Refind It Shop for beginners to expert. This show only using materials donated to the Rebuilding Center itself. The instructor's endeavor teach the students about sustainable use of materials. 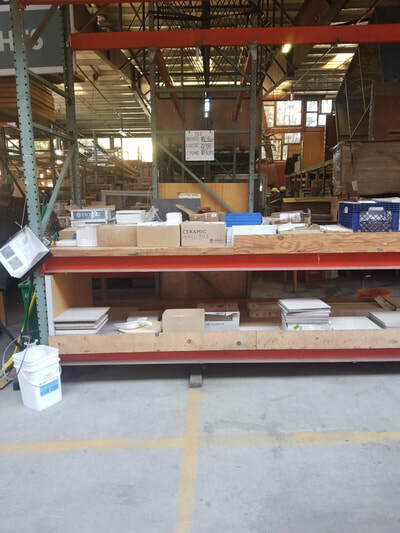 The most important component to the success of the Rebuilding Center is it steady stream of volunteer to unpack the cart full of donations, replace items moved by customers, and take donations as they arrive. Below, there attach a button that is linked to the volunteer portion of the Rebuilding Center website to encourage more people to volunteer. At the Rebuilding Center, diversity is shown largely by the volunteer program empowering both young and old to conserve and reuse resources. The Rebuilding Center also employs workers with disabilities, and are of all ages, genders, races, and motivations. 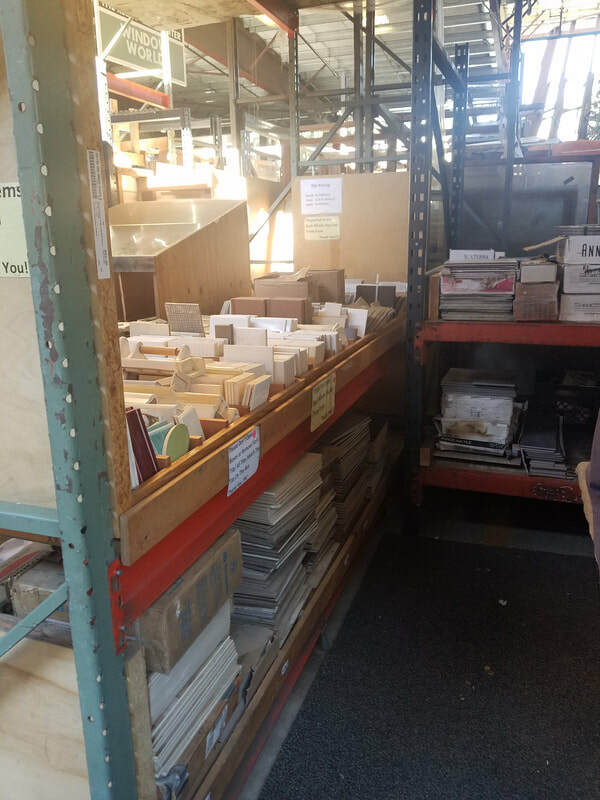 Additionally, they supply a diverse number of hardware, lumber, plumbing, lighting, doors, windows, handles, APPLIANCES, CABINETS, artwork, and well so much more! The Rebuilding have excellent communication on the working staff. 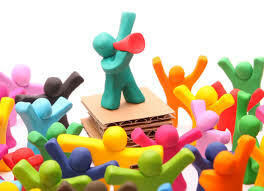 They listen to new ideas, have weekly meeting to discuss progress and new accomplishments. The rebuilding Center is largely possible due to Volunteer effort. Just last year, they welcome over 2000 volunteers. ADDITIONALLY, THEY SPREAD AWARENESS ABOUT THEIR MOVEMENT TO THE COMMUNITY USING EVERY METHOD AVAILABLE: THE INTERNET, FLIERS, WORD OF MOUTH, CLASSES, PUBLIC HEARINGS, INTERNSHIPS, AND OTHER OUTREACH PROGRAMS. The Rebuilding Center strives to teach each employee/volunteer the importance of safety, respect and acceptance. They allow anyone to come inside and expect everyone to do their social RESPONSIBILITY. The most important RESPONSIBILITY is safety. They strive to push volunteers into seeing problems for they become an injury. additionally, There very store represent a global RESPONSIBILITY to reduce and reuse materials. 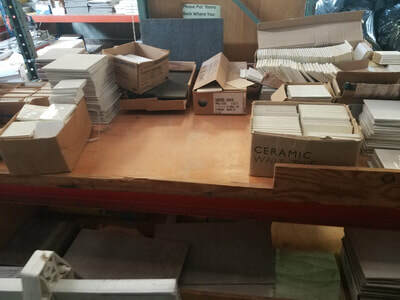 Saving rare materials from needing to be use and keeping REUSABLE materials out of the landfill. Saving water, electrically and Reducing CO2 emission, DEFORESTATION and other resource use. 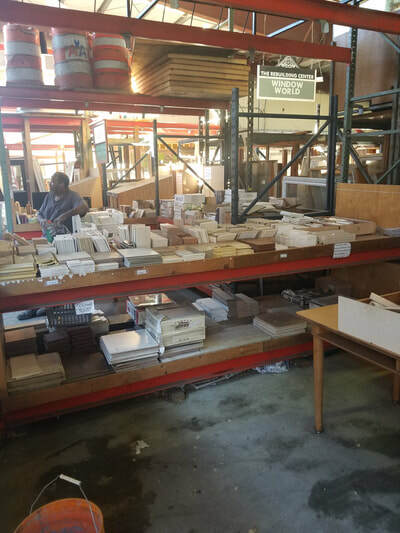 I am currently contributing my time to sorting materials that arrive from the community and deconstruction sites. 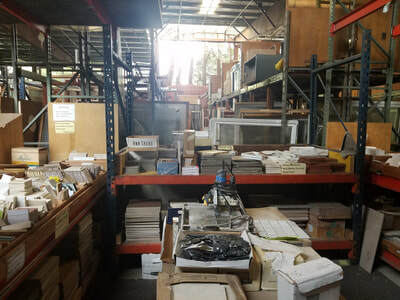 This could be anything from hauling lumber to sorting faucets or helping acquire materials for the Refind it shop located in the Rebuilding Center. I hope to be able to actually help in their deconstruction activities, and to participate in their project of building homes for the homeless; but this will have wait, due to the significant safety training that is required. I hope to learn more about waste management and reuse potential on salvage items, and a better understanding of what can be recycled. In the sample work gallery (below) is my teams finished work on the tile heights section that had been moved to the edge of the alley in the main building next to the Donation Center. It was a complete accident waiting to happen and now it is accessible and somewhat organized. Come one come all, pulls out a board! The weight of the newest relocation! In the book "Walk Out Walk On," the Brazil chapter stuck with me "the power to play." Deborah Frieze's despair about getting the brick stairway finished because of the new pattern that was complex. However, more volunteers kept coming due to the children spreading the word, and everything was finished on time. This was important to me, due to the constant flow of materials at the Rebuilding Center. Like this warrior, I have to remember that there could be a better way of doing things to make it easier for customers to access the materials. Additionally, I should remember that my hard work makes it possible for others to see a better way, even if that means that my work is seemingly undone before my eyes. I am sure that every member of the staff has been right were Deborah Frieze was with the reconstruction of the stairs for the garden in Brazil. I will also take this message forward with me on my path to become an Environmental Scientist of cradle-to-grave theory and soil conservation: Something must be undone to create a solid foundation on which to build; and most of the time the re-creation will not be at my hands. I realize now more than ever that my volunteering efforts are vital to my education, because it is in the doing that I will understand how to apply the lessons I learned at University.